I have a nerdy little secret (NLS). In fact, I have many. But I just want to put out there that I play Dungeons and Dragons, and I love it. I am so glad to have been introduced to it at all, even if this late in life. I am a level 3 elf druid, and I can kick some serious @$$ when the occasion calls for it. I play pretty religiously every weekend with my boyfriend Josh, his brother Jake, their dad, Paul, and Josh's best friend, Bob. One of my favorite things about the game, besides the game itself, the camaraderie and laughs, is that I usually get to cook something up---usually snacky food. The guys are also a great help in the kitchen! They usually make suggestions on what they would like to try, we try things out, and then we decide how to improve or enhance the recipe, if need be. Bob saw this recipe courtesy of Giada on the Food Network, and the original can be found here.These were decent, but honestly, kinda bland. We decided that next time we might forget the ricotta and just go with mozzarella or monterey jack, add more salt and pepper (and jalapeños for the guys---yuck! ), and use marinara for a dipping sauce. But, here goes! 1. For the Fritters: In a small bowl combine the ricotta, mozarella, salt, and pepper. 2. In another bowl pour the panko. In a third bowl lightly beat the eggs. Put the flour in a fourth bowl. 3. Scoop a 1 1/2 tablespoon ball of the cheese mixture into the flour and roll to coat. 4. Transfer the ball to the eggs and roll to coat. 5. Transfer the cheese ball to the panko and again roll to coat. Transfer the ball to a plate. Continue with the remaining cheese mixture. 6. Meanwhile heat 3 inches of vegetable oil in a large skillet to 350 degrees F. Fry fritters in batches, being careful not to overcrowd the pan, until golden, about 1 to 2 minutes. 7. Remove with a slotted spoon to paper towel to drain. Serve warm with Balsamic Dipping Sauce. 8. For the Balsamic Dipping Sauce: Combine the vinegar, lemon juice, mustard, and honey with a whisk. Blend until combined. Season with the salt and pepper. 9. Serve in a small bowl alongside the fritters. Here's a fun tip...that left over green pepper you have? Don't throw it away! Chop it up into little pieces, put it in an empty container (I used a clean water bottle), and freeze it for next time. 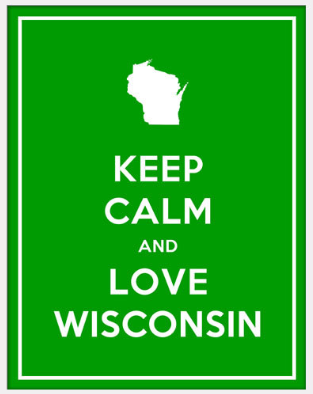 Do you love Wisconsin? I know I do--Milwaukee, especially. Born and raised here in the "City of Festivals," it's definitely one of my fave cities in the world (I swear I am not being biased! I have been to a LOT of cities). If you haven't been, come visit! Milwaukee is actually the largest city in Wisconsin, and the 28th most populated city in the U.S., with nearly 600,000 residents made up of Germans, Polish, Italians, Irish, French, Russians, English, Swedish, African Americans, and Mexican Americans. It was originally settled by French Canadian fur traders in the early 17th century (Score!!! The nerdy French geek in me is dancing for joy! Eeeee!!) There is some speculation as to where the word Milwaukee originated from. Wikipedia says it comes from the Ojibwe word ominowakiing, or the Potawatomi word minwaking, meaning, "gathering place by the water." But hey, you didn't have to read this post to know that. You could catch that tidbit on Wayne's World! 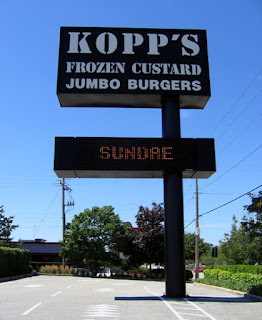 I have to share my absolute favorite Milwaukee food place in the world with you, hands down: Kopp's Frozen Custard. I take everyone there, local or not. I can't believe for as often as I go there, I don't weigh 400lbs. Seriously, I pay their electric bill easily in burgers, fries, and custard. A Milwaukee staple, Kopp's is known for its delectable frozen custard and tasty jumbo burgers. Founded in 1950 by Elsa Kopp, the frozen custard stand has 3 locations. Every day there are 2 unique flavors of the day. In fact, you can even get a calendar for your flavor forecasts! They always have the traditional chocolate and vanilla custard, if one of the daily flavors doesn't strike your fancy. I am on their tweet list, and receive text messages every day about their flavors of the day! Now, onto some fun. I have to admit, I saw this little checklist on Facebook and stole it, so it's not a Sam original. It's actually a really fun list of things to do in Milwaukee. Being the good little tour guide I am for those out-of-state friends that visit, I have also added a few of my own that I was actually kinda shocked didn't even make the list. So if you are living in or visiting Milwaukee, here are some activities to keep you busy this summer. 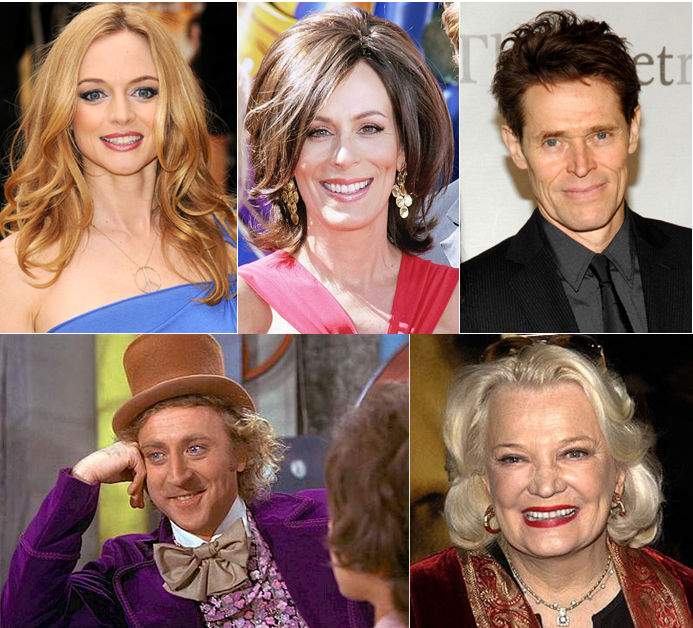 Be advised, some cannot be done over summer, like ice skating or Candy Cane Lane, but most can. Print this list off, hang it up, and check it off! Oh, and if you have any suggestions for more things to add, feel free to add on! See the orange steel art thingy at the end of Wisconsin Ave.